Ribbon cutting marks the culmination of a multi-million dollar investment in Lee County. WEVER, Iowa (MAY 17, 2016) — Iowa Fertilizer Company along with the Lee County Board of Supervisors, Lee County Economic Development Group, Fort Madison Economic Development Corporation, and the Southeast Iowa Regional Planning Commission joined together today to celebrate the newly completed 360th Avenue and J-50 roads. 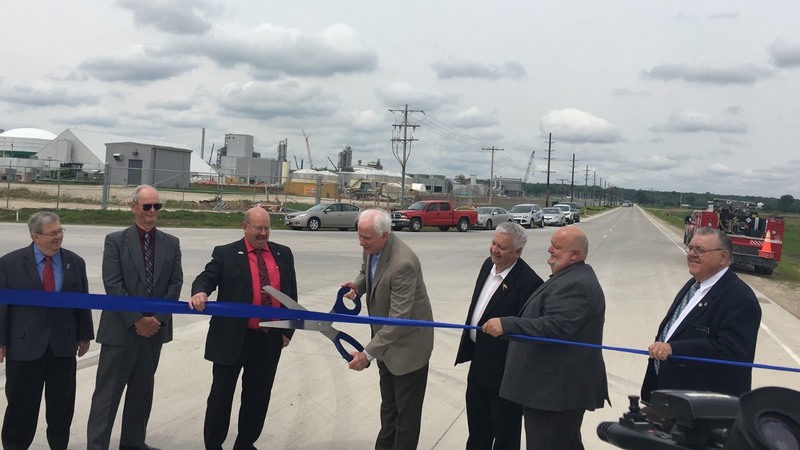 The event marks the culmination of a nearly $10 million project to build, reconstruct, and expand roadways that will serve the Iowa Fertilizer plant and its employees, and allow the company to provide 1.5 to 2 million metric tons of fertilizer products to farmers across the country every year.